Are you already working as a certified nursing assistant and want to become a licensed practical nurse? If yes, you should register for CNA to LPN program, with immediate effect. 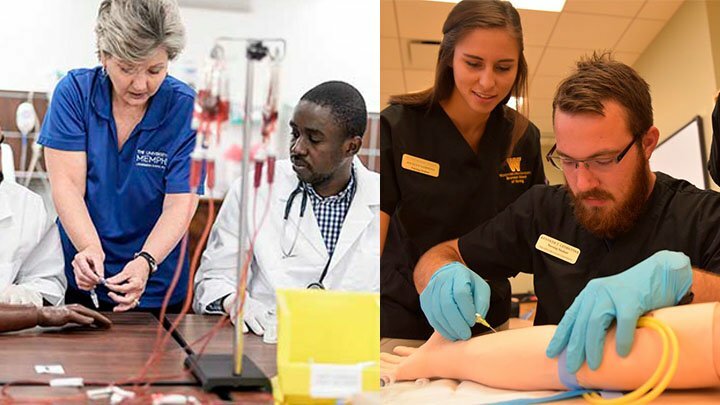 This program is an accelerated educational scheme, deliberately designed for those nurse aides, who desire to acquire a licensed practical nurse degree. How CNA to LPN Bridge programs work? The purpose of this course is to bridge the knowledge and skills gap between the two careers. The bridge program utilize the credit units, earned by you from your earlier nursing assistant training, and transfer a part of these units to the recent LPN program. The bridge program is intended to curtail the length of the licensed practical nurse training coursework. Why to join CNA to LPN programs? This coursework prepares you for a very exciting and rewarding profession of a Licensed Practical Nurse. In the healthcare industry hierarchy licensed nurses comes before certified nurses. As an LPN, you can enjoy more authorities along with making more money. Your esteem will be high, after obtaining LPN license. You can also continue your studies to become an RN (Registered Nurse). You must have 18 years of age. Aspirants ought to have an overall minimum Grade Point Average (GPA) of 2.0 from your training program. For each subject, your grades should not be below C.
You are required to submit your CNA certificate, which verifies that you have completed your nurse aide training. Candidates must compulsorily have a working experience as a certified nursing assistant in a healthcare industry. Step 1- Finish your basic education and acquire a diploma in high school or GED certificate. Step 2- Sign up for an approved nursing assistant training program. Complete the classes successfully. Step 3- Obtain a CNA certificate by qualifying the certification exam, organized by your state. Step 4- Acquire experience by working in any medical facility as a certified nurse aide. Step 5- Enrol for those LPN programs, which are affiliated to the National League of Nursing Accreditation Commission. You may easily find these programs in technical and vocational schools. Step 6- Pass the National Council Licensure Exam for Practical Nursing. This exam is controlled and managed by the National Council of State Boards of Nursing. Depending on the circumstances and settings, the cost of CNA to LPN programs may go up to $30,000. If your financial condition doesn’t allow you to pay such a huge amount, don’t worry. There are several ways to get discounted or free training. If you are talented and already working as a nursing aide in a medical facility, then put across your intent of becoming a licensed practical nurse to your current employer. She/he might pay for the program. Hunt for those institutes and facilities that organize free CNA to LPN programs. Several vocational schools and community colleges provide financial aid (scholarships or grants) to the eligible applicants. This way, you can cover whole cost of training. Many accredited online institutions also conduct low cost or free training courses.